£3 for the first child in a family group, £1 for each additional child. Booking essential. All materials provided. Led by Éilis Kirby, these monthly sessions in Spike Island Café are for under fives and their carers. 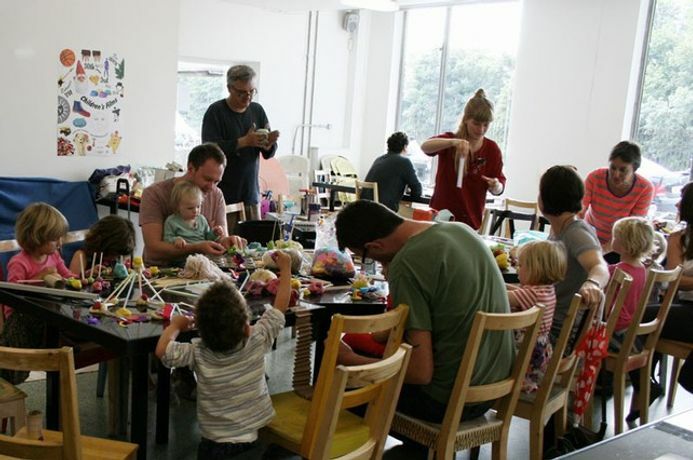 Led by Éilis Kirby, these monthly sessions in Spike Island Café are for under fives and their carers. Play with colour, shape, texture and easy ways to create, using simple methods and materials you can usually find at home. The gallery opens early at 11am so you can look around the current exhibitions after the session. For babies and toddlers up to 5 years old. Booking essential. All materials provided.